Welcome to the Autumn 2015 UK-QSAR Newsletter! The Autumn UK-QSAR meeting will be hosted by Cresset at The Imperial War Museum, Duxford, on 6 October. The theme of the meeting is “Protein-Ligand Interactions”. More information is available below. In a departure from the usual format we excited to be planning a joint meeting with the Phys Chem Forum (PCF) for our Spring 2016 meeting, at GSK in Stevenage. This will be a 1.5-day event and will feature talks of interest to both groups. Some preliminary information is below. UK-QSAR meetings are often oversubscribed so do register early to avoid disappointment. If you have registered already but can no longer attend PLEASE LET US KNOW so we can release your place. You can find the agenda online and some suggested pre-meeting reading material is available should you wish to explore some of the upcoming topics in more detail ahead of the meeting. Many thanks to Cresset for hosting and sponsoring the meeting. You can find more information on Cresset below. The agenda examines this theme from a number of angles, starting with an examination of how reliable protein structures are from Prof Matthias Rarey. Several talks focus on the analysis of difficult protein systems (GPCRs and other membrane-bound proteins) and modifications to traditional methods that deal with these more effectively. Approaching the problem from the ligand perspective, there are talks looking at matched molecular pair analysis, automated SAR retrieval, and new ways of doing ensemble-based drug discovery. Overall, these talks should provide a good overview of the state of the art in describing how ligands bind to proteins from both structure-based and ligand-based approaches. Delegates will have the opportunity to meet up over dinner on Monday 5th October at the Saffron Brasserie, an award winning Indian and Bangladeshi restaurant in Cambridge. The restaurant is easily located for accommodation in Cambridge and is close to the railway station. In spring 2016, the UKQSAR group is going to join up with the PhysChem Forum to put on a joint meeting to be hosted by GSK at Stevenage. The meeting is still at the planning stages but will take place over the course of a day and a half and will focus on topics likely to be of interest to the members of both networks. The meeting will begin after lunchtime with an afternoon session which will be followed by an invited keynote speaker who will give a longer, more in-depth presentation. The meeting will then continue over dinner. The second day will follow a format more familiar to UKQSAR meeting attendees with a morning and afternoon session interspersed with coffee and lunch during which posters will be on display. The committees of both organisations are actively drawing up ideas for themes and speakers for the meeting and we would be delighted to hear from you if you have any suggestions or would like to volunteer to present at the meeting. At present we would like to propose that delegates can opt to come for all or just part of the meeting. The proposed dates are March 15th / 16th 2016. Britain’s largest aviation museum, Imperial War Museum Duxford houses the museum’s large exhibits, including nearly 200 aircraft, military vehicles, artillery and minor naval vessels in seven main exhibition buildings. The site also provides storage space for the museum’s other collections of material such as film, photographs, documents, books and artefacts. The site accommodates several British Army regimental museums, including those of the Parachute Regiment (named Airborne Assault) and the Royal Anglian Regiment. The site was originally operated by the Royal Air Force (RAF) during the First World War. During the Second World War Duxford played a prominent role during the Battle of Britain and was later used by United States Army Air Forces fighter units in support of the daylight bombing of Germany. Original buildings, such as hangars used during the Battle of Britain, are still in use. Many of these buildings are of particular architectural or historic significance and over thirty have listed building status. 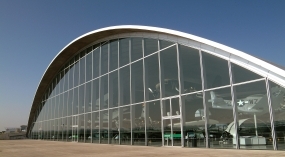 The site also features several purpose-built exhibition buildings, such as the Stirling Prize-winning American Air Museum, designed by Sir Norman Foster. Duxford was an active RAF airfield until 1961. The airfield is still used by civilian flying companies and hosts regular air shows. A charity was formed in 1975 to preserve civil aircraft and promote appreciation of British civil aviation history. Compiled by Sue Peffer of Cresset with contributions from the speakers listed below. The Committee would like to extend their thanks to everyone for their input. Raymond, J. W.; Gardiner, E. J., Willett, P., “Heuristics for Similarity Searching of Chemical Graphs Using a Maximum Common Edge Subgraph Algorithm”, J. Chem. Inf. Comput. Sci., 2002, 42, 305–316. Kawabata, T., “Build-Up Algorithm for Atomic Correspondence between Chemical Structures”, J. Chem. Inf. Model, 2011, 51, 1775–1787. Riniker, S.; Landrum, G. A., “Open-Source Platform to Benchmark Fingerprints for Ligand-Based Virtual Screening”, J. Cheminformatics, 2013, 5, 26. Cresset provides chemistry software and contract research services to the pharmaceutical, agrochemical, flavor, fragrance and chemical industries. Cresset’s proven and patented field technology underlies all of our software and services. 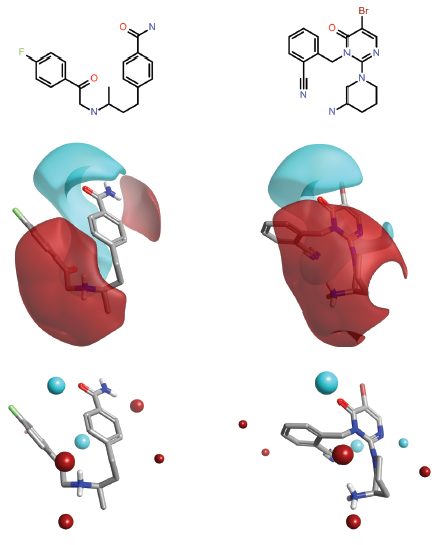 Our detailed computational models of molecular interactions lead to conclusions that you can trust, that are borne out by experiment and that result in well designed compounds. Field points reveal the biological similarity of chemically diverse compounds. They make it possible to establish meaningful comparisons between molecules that have no structural similarity. This helps you understand the biological impact of chemical changes. 3D conformations with electrostatic surfaces (centre) give a ‘protein’s eye view’ of how the compound interacts with the target. Cresset condenses the surfaces to field points (bottom) that make it possible to compare thousands of structures and fragments on the basis of biological similarity.